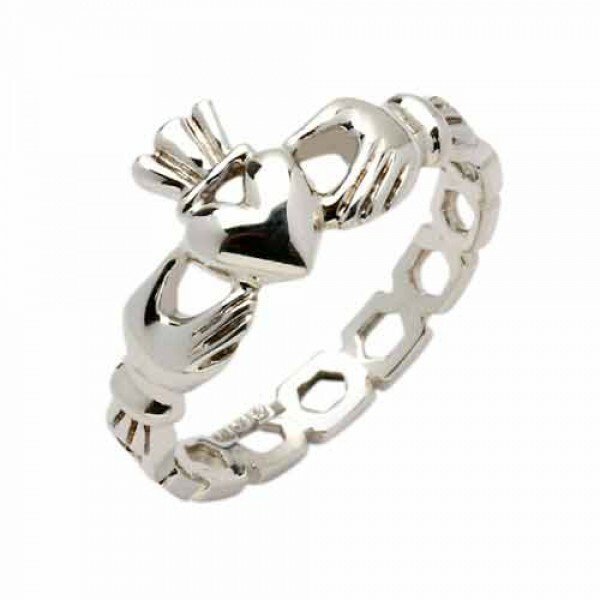 This is a beautiful Claddagh Band Ring made from 14 Karat or 18 Karat White Gold. It has the cl.. This is a beautiful Claddagh Band Ring made from 14 Karat or 18 Karat Yellow Gold. It has the c.. This is a beautiful Claddagh Band Ring made from 14 Karat or 18 Karat White Gold.It has the classic ..